Some marketing people are predicting that social media marketing will merge into other marketing activities and there will not be room for a separate SM marketer. Do you have a career in social media marketing? Will social media have a life apart of all other marketing activities? Well, I think that the answer to both of these questions YES. Brand is the community of people who feel affinity to it. You use different tools like TV, Facebook, print ads, events, Twitter to communicate with that group. The main goal is the connection between community members and the brand. You would want to make existing members more engaged and bring in new people. Social graph underlies all marketing. It’s a bit like public relations, but on a much more personalized way. In some cases you will be talking to a single person or a small group on the other hand you can use TV to reach millions in a way that community expects you to. For example TV ads will be personalized… doh! Not just that we show ads based on the interests and behavior of the viewer but the ad content itself will be personalized with the name of the person, favorite color, earlier purchases or activity on the social networks. In the other hand the social media marketer has to train the people inside the company to interact with the community. Achieving authenticity may be difficult for some and helping them to relate to the consumers of their work is very important. Social media marketer, community manager or CMO, call her what you will. The one who builds the stickiest social graph around their brand will win. 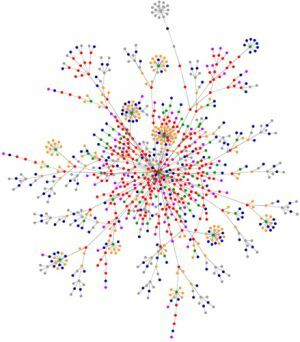 Now technology has given us the tools to actually measure and work with that social graph. Social Media Manager is like a Swiss army knife. I was thinking about what this person should do and the result is this list. The list is pretty long so in corporate environment you might want to split it up between several people. From situation analysis, those who wish ‘Social marketing’ a natural death may have to keep hoping for a long haul. there may be changes to technology and platforms usage, but the contribution of social marketing makes it almost unimaginable that it will go away very soon. Everyone also agree that social media is the best influence of branding. Social Media is the smarter way to build it . Of course is not going away. Social media is here to stay for good. Given vast variety of the existing channels to choose and stick with, it’s time for such a hot space to enter into a new category. There is a need for a portal to provide a quick and intelligent decision for both the consumer and the enterprise about their online connections. A Platform to Help us to Distinguish Our Quality vs. Quantity Friends, Fans, Followers, and Companies. Facebook, Twitter, LinkedIn, Youtube, Flickr and others have been doing a decent job of providing additional marketing exposure and even in some cases, additional revenue. However, as more and more social networking sites pop up, the task of picking the right channel getting more challenging. This reminds me of the early 90’s when WWW was adopted broadly by the general public. Every company rushed to have a presence, to the point it became literally impossible to find the right information on the Web. That’s when yahoo and google where born and helped us find the most relevant information by just typing simple keywords. Then came Web 1.0 & 2.0 – Youtube, Flickr, myspace, Facebook, Twitter and countless others have turned everyday people into content producers, influencers and experts. We basically tripled down on the information overload How do you know which channels to select for deploying your social media strategy? That is why I built awesomize.me to accomplish such a mission – the portal to all your existing social media channels. Previous story Getting Real About Your Social Media Marketing Plan – Content First!